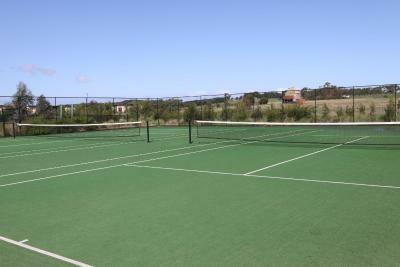 Lock in a great price for Ramada Resort by Wyndham Phillip Island – rated 8 by recent guests! The balcony looking over the paddocks was nice. The basic idea of the cabin was good. When the cafe was open it was lovely. the staff was very nice and the location to the attractions was good. 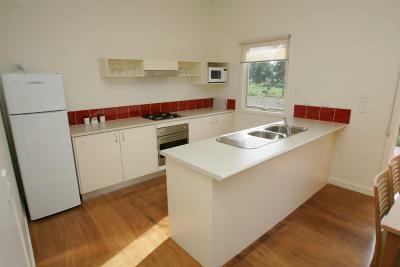 Peaceful location within easy reach of everything Phillip Island has to offer. Bed was comfortable. It was a nice setting amongst trees and was very quiet. Love this place and being amongst nature and the nocturnal wildlife. The bungalows are a good size and have all the basic needs one might need for a short stay away from home. The reception staff are always friendly and accommodating. Always wish that I could stay longer. 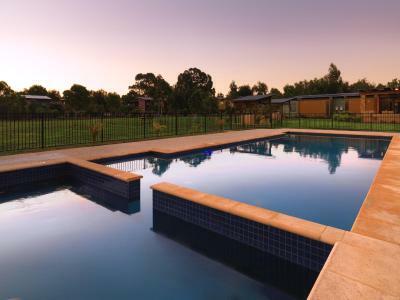 Ramada Resort by Wyndham Phillip Island This rating is a reflection of how the property compares to the industry standard when it comes to price, facilities and services available. It's based on a self-evaluation by the property. Use this rating to help choose your stay! 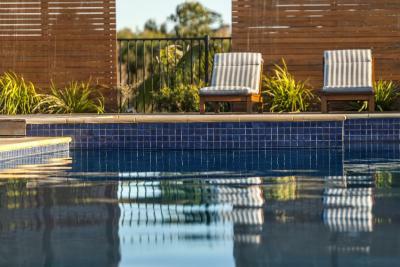 One of our top picks in Cowes.Set on 65 acres, 2 hours' drive from Melbourne city, Ramada Resort by Wyndham Phillip Island offers a restaurant, a swimming pool with a spa pool, a fitness center and 2 tennis courts. The Koala Conservation Center is a 2-minute drive away. Offering peaceful ambiance, this resort is surrounded by bike tracks and nature walks. Eco-friendly materials, as well as energy and water efficient appliances, have been used to minimize the impact on the environment. This self-contained, 3-bedroom cottage includes a living room with satellite TV. It also includes laundry facilities, a fully equipped kitchen, ceiling fans and a master bedroom with an private bathroom. An additional bathroom with a shower over a bath as well as a patio with outdoor furniture are provided. This cottage features a patio deck with outdoor furniture, a full kitchen and a 6-person dining area. It also includes laundry facilities, ironing facilities and a lounge area, including a flat-screen TV with cable channels. 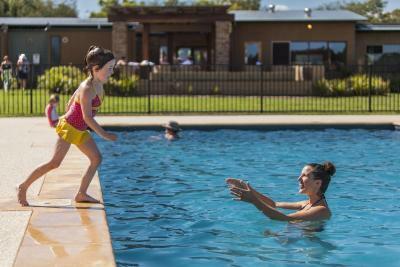 House Rules Ramada Resort by Wyndham Phillip Island takes special requests – add in the next step! Please note that Ramada Resort Phillip Island requires an AUD 100 credit card pre-authorization upon check in to cover any incidental charges. Rooms were a bit dated. Couch was a bit soiled. Lights a bit dim and yellow. Tv was small and didn’t work properly. The property. Very run down and poor maintenance. Ie heater broken very dirty couch, paint peeling from wood work and the doors rotting. Kitchen cleanliness very poor and smelly. We stayed in cottage 194. Also witnessed the staff cleaning another cottege using a very dirty mop, first mopping the floor and then the table and then the floor mat followed by the out door deck and finally the outdoor table furniture. Encounters with the wildlife at night. Severe lack of maintenance to several areas. Room was ok but sliding door was almost un-movable so made entering and exiting apartment difficult. Doona cover in bedroom (on 2 king singles) was horribly stained. Outdoor Pool wasn’t very clean - lots of bugs and leaves. Indoor pool was ok but floor surface at entry is very dangerous as was not non-slip. Second stay FANTASTIC coming back!!! !